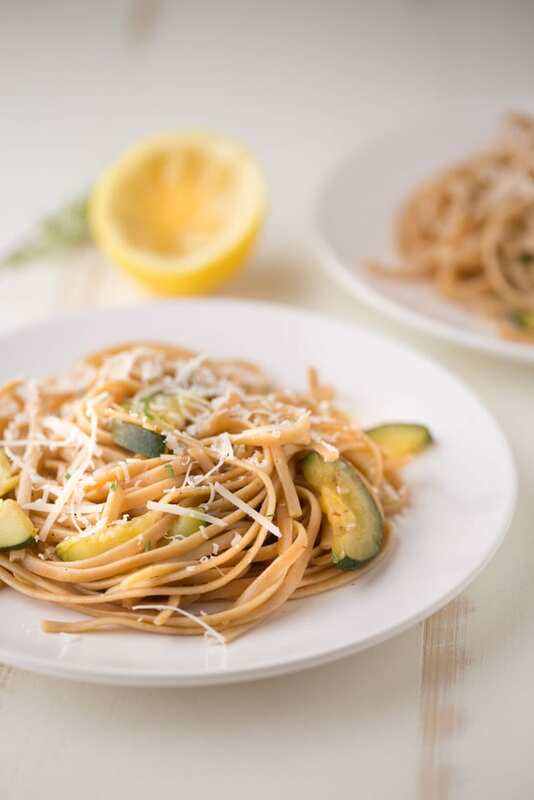 Today we’re talking about this delicious, light and refreshing Lemon Zucchini Pasta. It’s a great weeknight meal because it’s easy to make. The flavor is incredible; If you love lemon, this pasta’s for you. Oh did I mention that this Lemon Zucchini Pasta is vegetarian, too. And you can easily make it vegan by omitting the shredded parmesan cheese! So let me ask you something. If you could live anywhere you wanted to live, where would it be? And why? Me? I’d live in western North Carolina. I absolutely love it there. The mountains steal my heart. The cooler and drier air makes me swoon. The beautiful scenery is something I could gaze at for hours without becoming bored. The abundance of craft beer breweries and delicious craft beers are things that would bring me great joy. In late April, Ken and I vacationed in Asheville, NC. We stayed in a quaint, comfortable cabin that sat on the side of a small mountain located only minutes from downtown Asheville. The air was cool, crisp and comfortable. We were able to leave the windows of the cabin open the entire time we were there. We visited downtown Asheville a couple of times but we much preferred the relaxing atmosphere of our little cabin. On one day of our trip, we drove to the Sierra Nevada brewery in Fletcher, NC. We dined on great food and sipped on delicious beers. We chatted with locals. We took a self guided tour of the brewery. Then we headed to Brevard, picked up some coffee and headed into the Pisqah forest via a long, windy road that took us 4000 feet up a mountain. I had my first waterfall experience on this road, Looking Glass Falls. Further down the road, we stumbled upon the Pisgah Inn, an Inn that literally sits on the top side of a mountain. The views were exceptional! We descended the mountain via the Blue Ridge Parkway. It was breathtaking. And a little scary to a girl who has lived in Florida all of her life. Despite being completely terrified of the mountain roads, I constantly crave being on them again. I crave being within the mountains of North Carolina. I crave the serene views and the relaxing atmosphere. I want to go back, now! Maybe one day I will live there. For now, I’m already planning my next vacation to the great state of North Carolina. 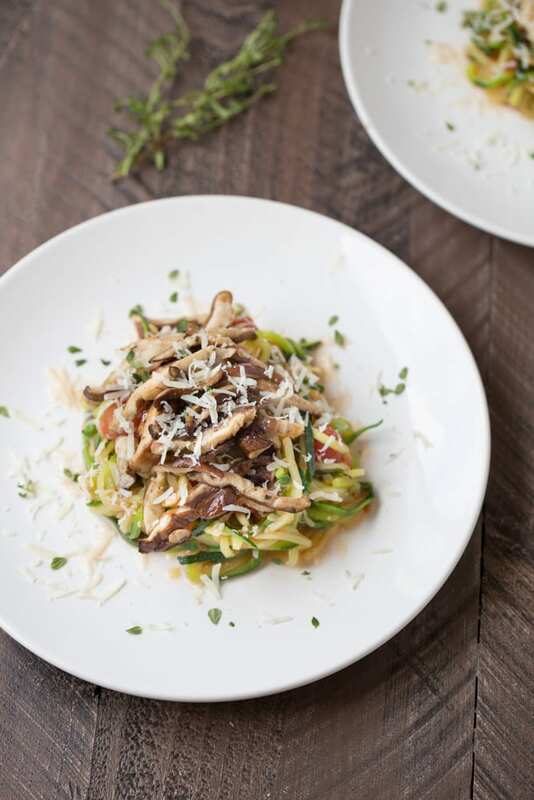 This Lemon Zucchini Pasta can be altered to your taste and texture preference. If you want more lemon flavor, use more lemon. If you want more liquid in your meal, toss the cooked pasta with a little more olive oil. You can also toss the pasta with a little water to boost the moisture. Of course, if you’re a cheese lover, load it up with as much cheese as your heart desires. Bring a large pot of water to a boil. Add the linguine and cook until al dente. Heat a skillet over medium high heat. Toss the zucchini, onions, ancho chili powder, pinch of salt, ground pepper and olive oil together. Add to the skillet. Cook for a few minutes until almost tender and then add a splash of white wine (about ¼ C). Cook until the white wine reduces, about 3-4 minutes. Remove from heat and squeeze juice from half of a lemon over the veggies. Mix well. Once the pasta is done cooking, drain and place in a mixing bowl. Toss with the veggies. Squeeze the remaining half of lemon over the pasta, add salt to taste and toss to combine. Divide among 4 bowls. Top with fresh shredded parmesan and garnish with fresh thyme. Nutrition information does not include fresh thyme or parmesan cheese as those are optional and will depend on the amount of each that you use. Wow! 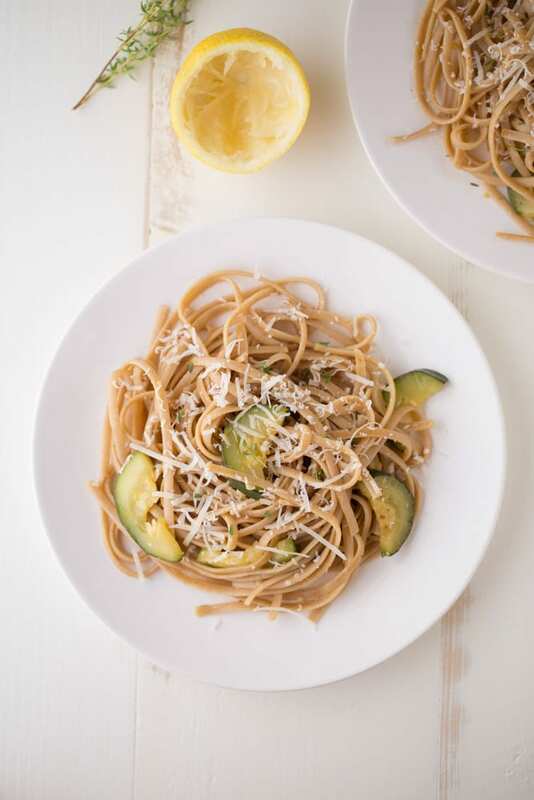 This whole grain zucchini pasta looks so delicious! Addition of lemon is making it so light and refreshing! A perfect summer meal! This is like perfect summer freshness on a plate! And it’s a plate that I want to five face first into! I love anything with zucchini, so this is my jam! Pinned! I’m always looking for new zucchini recipes. This sounds simple, yet classy!! Second of all, I’m a FL girl who just moved to NC. Just moved as in last week I moved here. And I LOVE it! North Carolina is a beautiful state. Reading your post, I was like hold up, Julie and I were separated at birth! Lol. Anyways, thanks for sharing the yum♡ Cheers!!! Ah you are so lucky to have been able to move to North Carolina, Cheyanne! It really is a beautiful state. Word! I would move to Asheville in a heartbeat. Oh and I totally want to visit Colorado one day. I hear it’s great there. 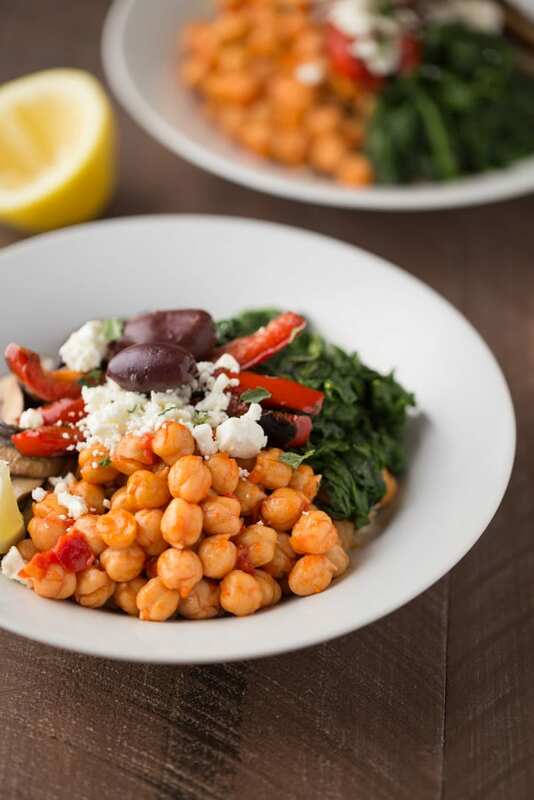 So light and delicious – the perfect summer dinner! I love this light and flavorful pasta! If it weren’t for family I would move somewhere like Colorado but North Carolina is sounding pretty amazing too! Thank you, Julie! I hear Colorado is pretty amazing. I’d love to visit there one day! Thanks for the inspiration, pinned! I actually have a couple of zucchinis right now that I was trying to figure out what to do with. I really think I’ll be trying this this week! Thank you for the brilliant idea and the beautiful photos. Love the bright flavors in this – and how it’s perfect for a weeknight meal! Never been to NC, but I’ve heard such great things. Maine is my absolute most favorite state- I would love to live there if I could. Beautiful coastlines and forests, quaint towns… overtime we vacation there it seems so idyllic! (and the food is always so good!) 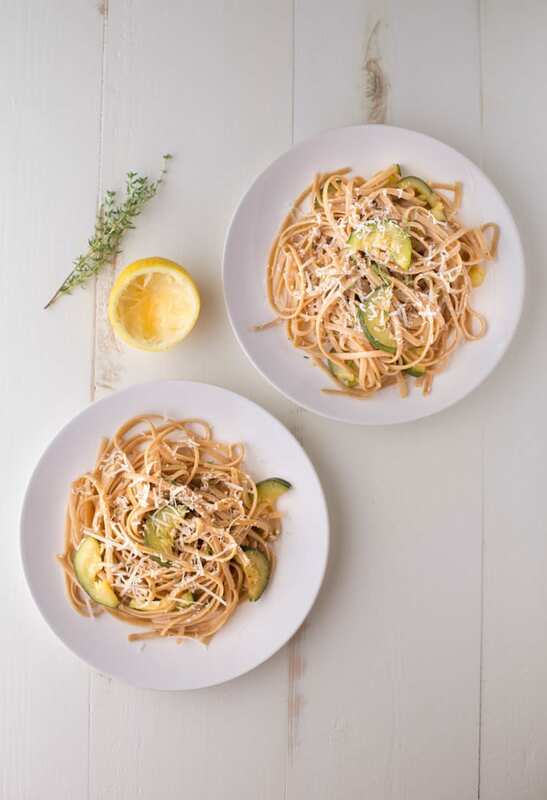 Love lemons and zucchini- this is such a wonderful summertime pasta! Thanks so much for stopping by. I hope you have a lovely weekend!